Guide Dhanu took over our internal leopard abundance project nearly a year ago now. 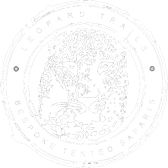 He closely monitors sightings of new adult leopards that are not in our database, as well as new cubs that are born to mothers that are in our database. Today he made a short video documenting some of the cubs and sub-adults that he has seen in recent times that were not in our database. Enjoy!